Are you tired of hearing the same kind of kicks over and over? Are you looking for something radical and fresh? If mellow analog kicks or deep booming bass drums doesn’t do it for you then refresh your ears with some digital goodness that will stand out in the mix like it’s the main course. The source material for the kicks come from a wide range of drum machines - both hardware and software - where we’ve applied every technique know to man: sampling, layering, splicing and processing with only one goal: if the end result sounded like a traditional kick - we trashed it. If it felt synthetic and artificial - it stayed. These kicks come in various forms, neatly sorted into separate categories - from the hyperpumped in-your-face EDM kicks and punchy, to sampled and time stretched. Bonus plastic bits - 20 sounds. Please note that the first audio demo contains percussion sounds from the library Shades of Techno. All kicks are from the Plastic Kicks library. The second demo just contains the kicks from the first demo. 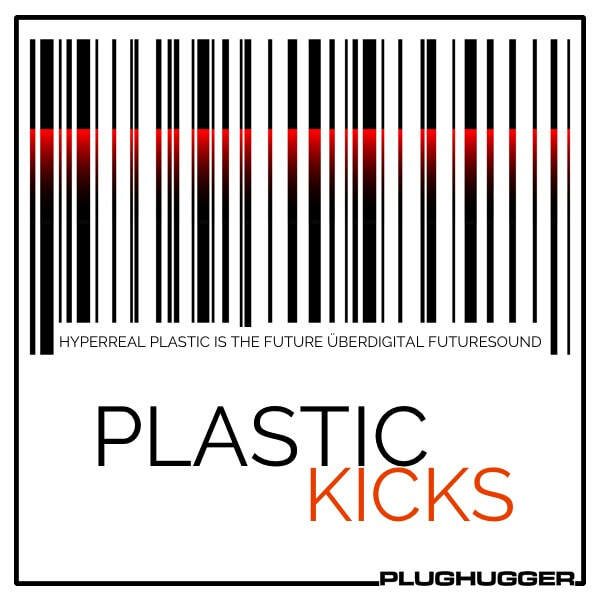 IMPORTANT - Plastic Kicks is an audio library, not a collection of sounds for synthesizers. Please check out the FAQ before buying.